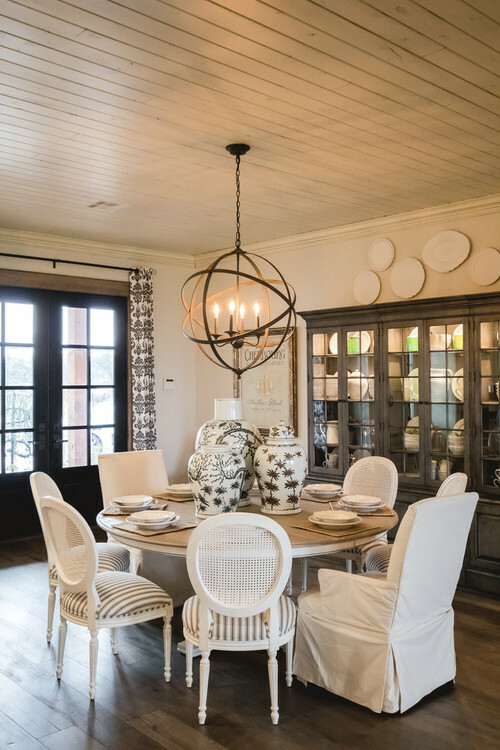 Last but not least on our list of modern farmhouse dining room ideas, a fabulous example of how to use patterns and coordinating finishes. I love how the pattern in the drapes is echoed in the pottery on the table. The wood of the floor is echoed in the door trim, pendant light, and built-in. I think this is my favorite dining room on the list! Thank you for joining me on this tour of modern farmhouse dining room decor ideas!